Dear reader, it has been some time since I've written a Haiku. 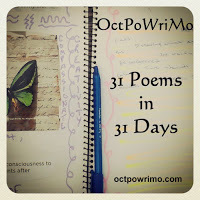 As I was travelling today (a 6 hour drive from my parents place to home), I was thinking about the #OctPoWriMo prompt for day 13. Colour. What does colour mean to me? And as I was driving, I decided to write a haiku, mostly because it was a form I could work with in my head, and have my wife write down the nonsense as it came to me. And so, somewhere along Highway 2 northbound, my poem was born. Please enjoy. I tried just dictating my poems but my wife makes me type for myself.